How Does Reflective Sports Clothing Work? The incident ray, the reflected ray and the normal to the reflection surface at the point of the incidence lie in the same plane. The angle which the incident ray makes with the normal is equal to the angle which the reflected ray makes to the same normal. The reflected ray and the incident ray are on the opposite sides of the normal. When light is reflected, there is an incident ray(the ray between you and the mirror) and reflected ray(the ray from the mirror to wherever that ray is going) and the normal(where these two rays meet, ie mirror surface) are coincident (that is they meet at a point, at the point of reflection in this case). That any wave(light) will bounce off a reflective material at the same angle that it strikes it. Take for example when you look at yourself in the mirror. 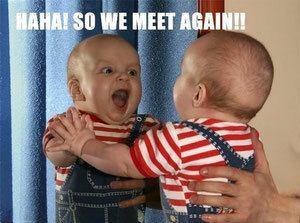 When you look at yourself straight on, you see your beautiful face staring right back at you. But when you look at a mirror at a 45° angle to your right, you will see everything along that same 45° angle going away from mirror to your right in it's path...or in a sports-y example; if you throw a ball against a wall, then it will bounce off that wall at the exact same angle that you threw it at at. Now that we’ve got the ‘simple’ laws of reflection out of the way…how does reflective clothing work? I will use our BikeWrappers reflective fabric as our main example…well, since it’s what we know best. Our reflective material is composed of what most cloth is made of, fabric. And that fabric is made from thread. What makes this fabric so unique? It is basically dipped and covered in millions of microscopic glass beads. You can think of each bead as a tiny little mirror, which when surrounding a cylindrical thread makes for cylindrical mirror that reflects light back in every direction. One thread by itself isn’t going to be very much to look at, but once you put thousands of these threads together you’ve got something…which is a fabric. Now when you look at this material directly you do not see yourself like a mirror. That is because this fabric is considered a rough surface unlike a smooth surface. A smooth surface is well, a smooth surface, like a flat mirror or still lake. The fabric is a rough surface that has mirrors basically facing every direction which causes all it’s rays to reflect in every directions and thus no clear image is formed. So when you are driving in your car at night and see a reflective triangle on the shoulder up ahead 200 yards on the right(which is a cyclist using their BikeWrappers), it is because the light from your car headlights(incident ray) goes from your car, hits the BikeWrappers(which is basically mirrored clothing and the ‘normal’), which bounces the reflecting ray back at you at the exact same angle that the incoming ray struck it.  Since the BikeWrappers are a rough surface the light that strikes it will reflect in all different directions but the majority of the rays will bounce back right back to the driver. One other little factoid for you; the reflecting biker you see up ahead 200 yards is 200 yard ahead of you BUT the light that you see has actually traveled 400 yards. It went 200 yards from your headlight to the biker, hit the ‘mirror’ and came back another 200 yards to your eyeballs, making it travel 400 yards total. Good thing light travels…at the speed of light.